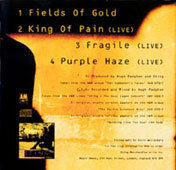 / We work '93 / Fields of gold / King of pain / Fragile / Purple Haze / Fields of gold / Message in a bottle / Fortress around your heart / Roxanne UK without stickered promo, A&M generic inlay, features tracks of MC and 2 UK CD issues. 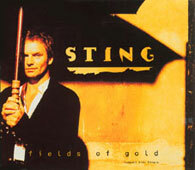 Poster UK 75 cm 50 cm sleeve poster with information on the track listings of 7", MC, CDs. 13 CD, 5MC, 6 7"
CD singles : strangely, MC & 7" features a tracks which was not available on any CDs issue : We work the black seam '93. - When the world is running down .